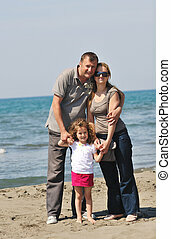 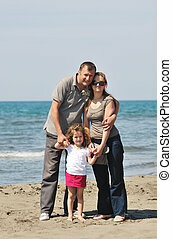 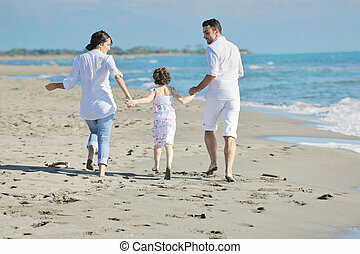 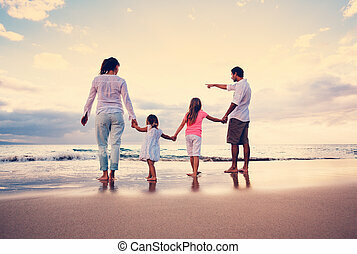 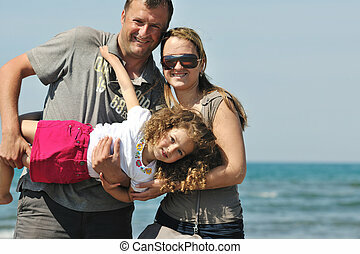 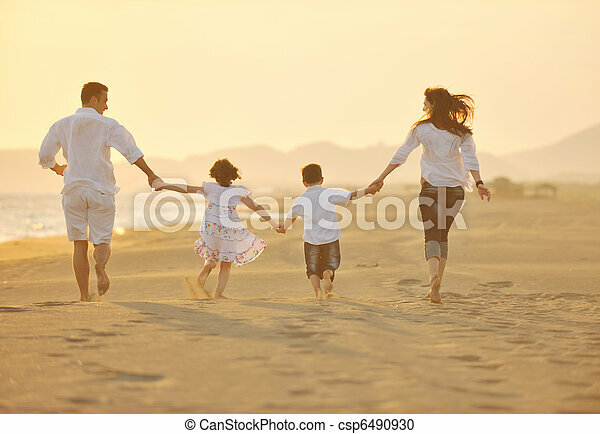 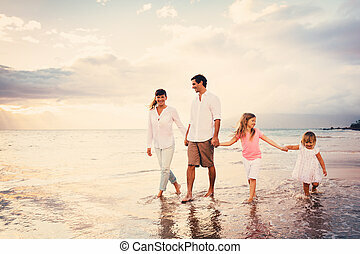 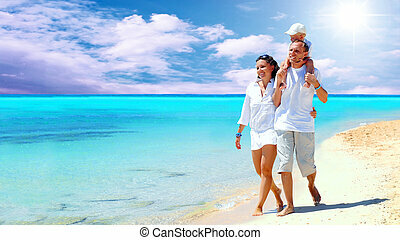 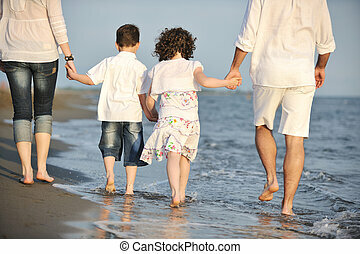 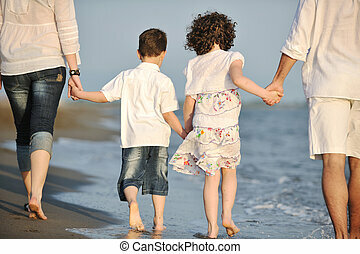 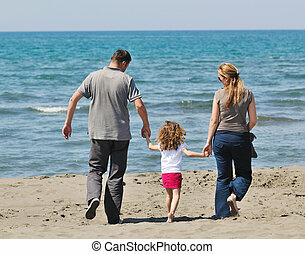 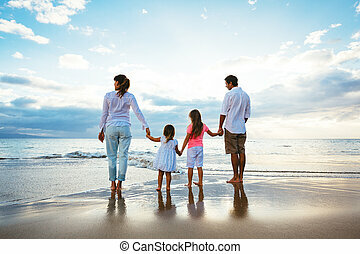 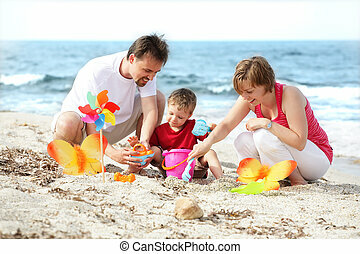 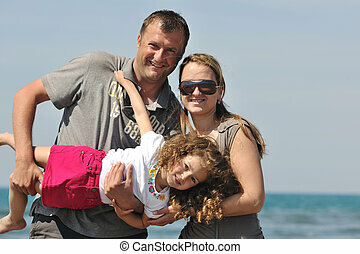 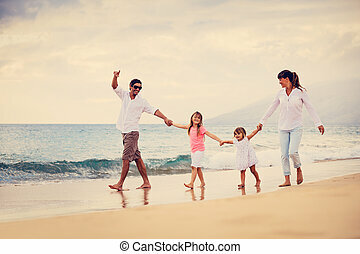 Happy young family have fun on beach at sunset. 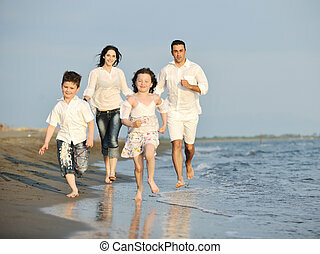 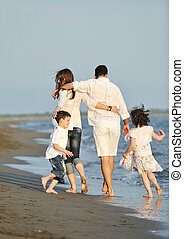 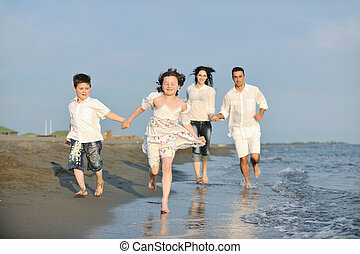 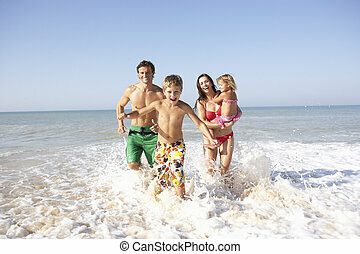 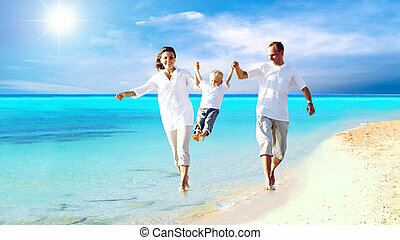 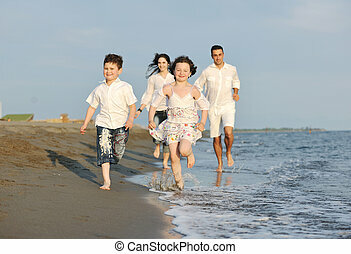 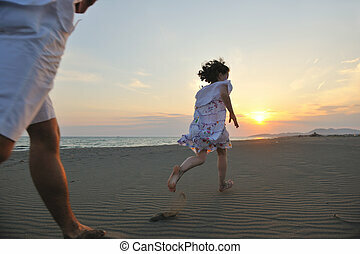 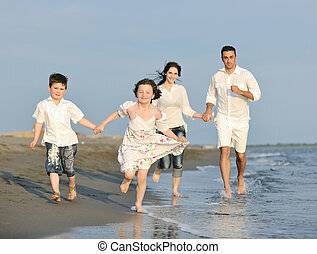 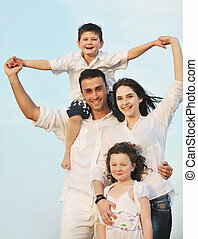 Happy young family have fun on beach run and jump at sunset. 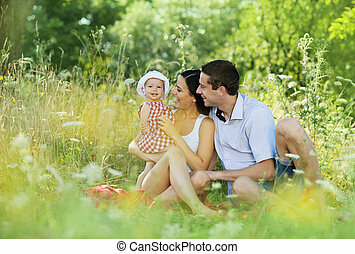 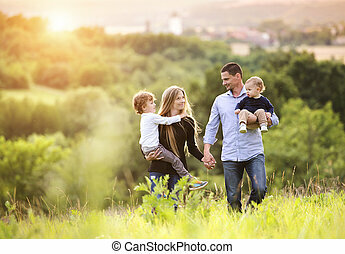 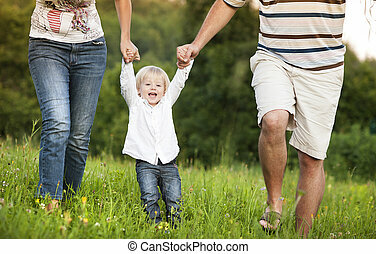 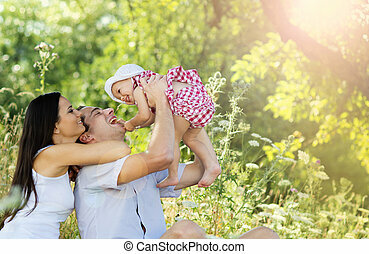 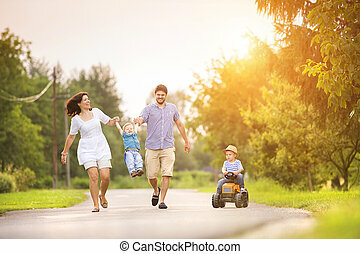 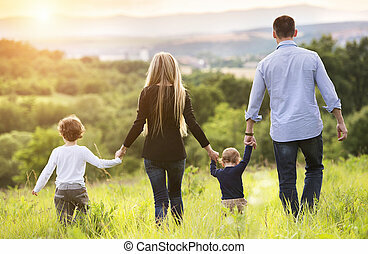 Happy young family spending time together in green nature.